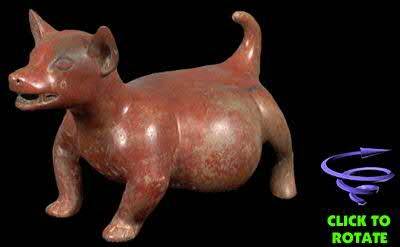 Colima figure of dog standing with teeth bared. Protoclassic, circa 100 B.C. to A.D. 250.